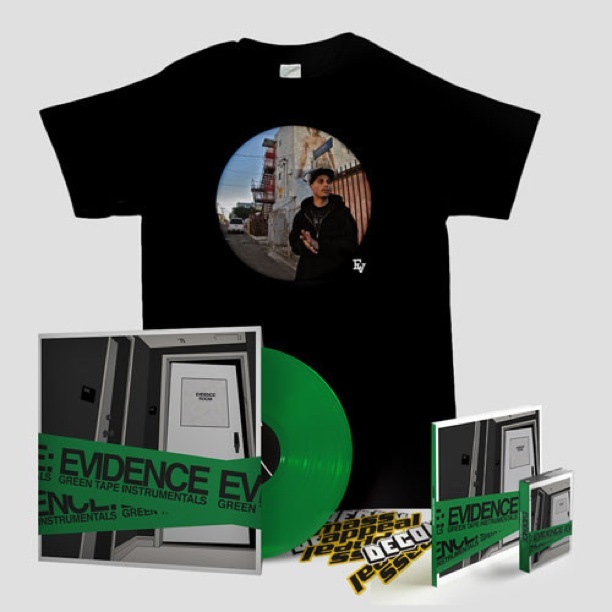 A rap fiend with an itchy MPC finger, Evidence has always been hyper-productive, and that inclination is most evident in the ongoing series of beat albums he’s trickled out in recent years. Green Tape Instrumentals is a collection of music mostly written and released from 2006 to 2010 along with a few unreleased tracks and follows the similarly-named Yellow Tape Instrumentals, Purple Tape Instrumentals and his 2007 Decon release, Red Tape Instrumentals. This installment features 20 cuts of thunderous drums and deft sample chops that showcase Ev’s beat-making prowess- it’s almost good enough to make you forget he’s one of the most lyrically adept rappers on the West Coast too (when he wants to be).